The National Herbarium and Plant Laboratories (NHPL) is situated at the base of Phulchoki Hill (85°22’ 59.4” E; 27°35’38.2” N and 1515 m asl) in the South East corner of Kathmandu Valley. It was established in 1961 as a Botanical Survey and Herbarium under the Department of Medicinal Plants (DMP). 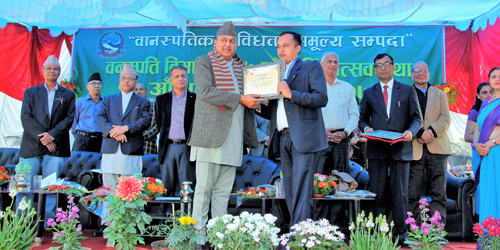 Later, it was renamed as National Herbarium and Plant Laboratories (NHPL), as a Central Level Office – under the Department of Plant Resources (DPR), Ministry of Forests and Environment. The NHPL is abbreviated as the ‘KATH’ Herbarium in ‘Index Herbariorum (IH)’ for its global identity. It is the Government institute focused on country-wide exploration, collection and scientific identification of plants. 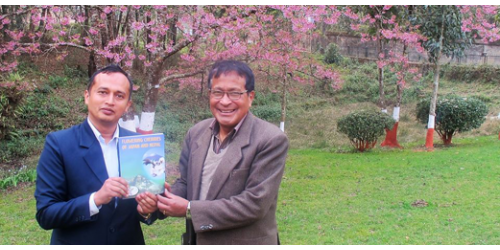 Since its establishment, plant expeditions have been conducted all over Nepal from its own capacity as well as from collaboration with foreign institutions. It is both oldest and largest Herbarium in Nepal as it has preserved more than 1, 65,000 herbarium specimens, 95 Type Specimens and more than 700 museum specimens of plants. It has been a source of information for botanists, students, traders and researchers. 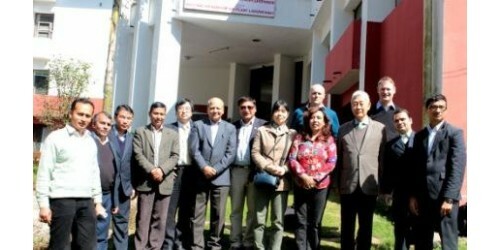 The institute is one of the members of Global Taxonomy Initiative (GTI) Nepal. 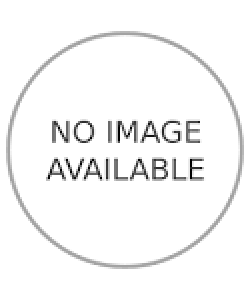 Besides, it has the pioneer Tissue Culture Laboratory of Nepal established in 1976 and has developed plant tissue culture protocol of 116 plant species. This institute mainly has supported the students, researchers and traders for academic, trade promotion and judicial rocesses by providing scientific identification services. So, it has established it as the ‘reference center’ for botanists, students, researchers and traders. Structurally, it consists of eight technical sections and one administrative section (Account and Administration) to execute its functions well.